Camp Ten Oaks is staffed by an amazing team. We look for folks who have extensive experience working with children and youth both in and outside of camp settings, specialized skills to enhance the programming offered at camp, and who are committed to working from social justice principles. We also want people who are camper-centred, supportive, enthusiastic, nurturing, respectful, dynamic, creative and fun-loving! All staff must participate in a mandatory orientation held at camp (four days in May) and be available to work at camp (two weeks in July/August). Applications are open! All applicants are encouraged to read the job descriptions listed below to choose the role that is best suited. Application instructions follow each role description. 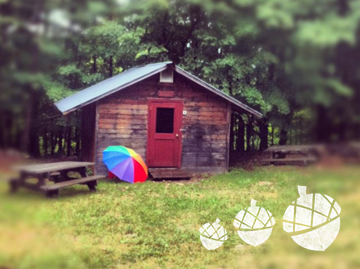 Our staff-to-camper ratio is a minimum of 1:3. Every member of the staff team at Camp Ten Oaks applies to have this opportunity. All staff must successfully complete an interview process, reference checks and a police background check. Our staff also participate in a mandatory weekend-long orientation and training. Camp Ten Oaks offers its staff members a weekly wage based on the role they are hired for.